Hardworking and conscientious, with a profound understanding of and passionate attachment to their local environment and its wild nature, the bison rangers are truly committed to rewilding. 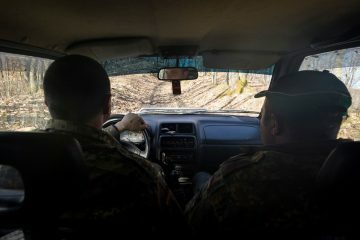 Prior to the Poiana Ruscă Mountains bison release, Marius and Roli had spent two years helping Matei Miculescu and Daniel Hurduzeu, the two rangers working at the first reintroduction site. Prior to the Poiana Ruscă Mountains bison release, Marius and Roli had spent two years helping Matei Miculescu and Daniel (Danu) Hurduzeu, the two rangers working at the first reintroduction site, and laying the groundwork in their own area. Their grassroots efforts have proved vital to the success of the project, and we are deeply grateful for their hard work, patience and constant enthusiasm. 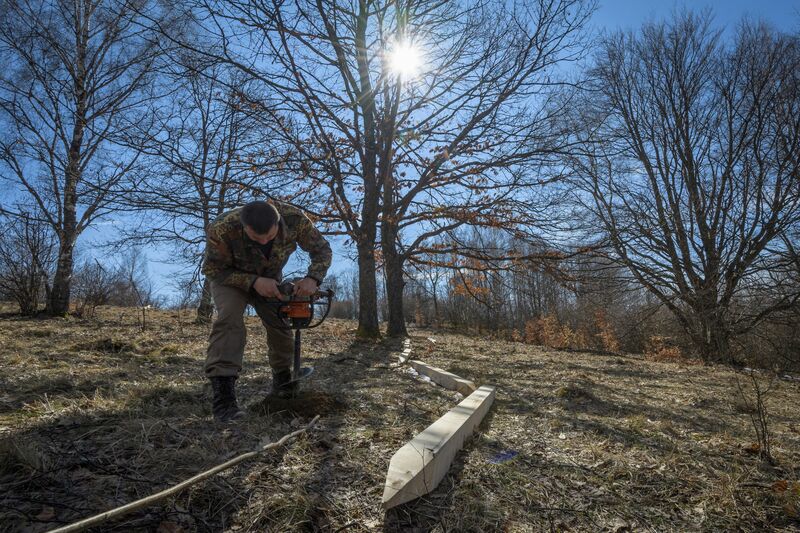 In the case of Marius, this support has even extended to the generous donation of 50 hectares of his own land. Marius and Roli are extremely active in their local area through the DEMSUȘ Association of Forest and Pasture Owners. Marius: I have been a ranger since January 2016. As a lover of wild nature and the local environment it was a pretty straightforward decision for me to apply for this role. Bison rangers performing their daily duties in Poiana Ruscă, the second bison reintroduction site. M: People should know about our long history of animal husbandry and nature protection. I am happy to have followed in their footsteps, and by my actions to be ensuring a similar way of life for future generations.